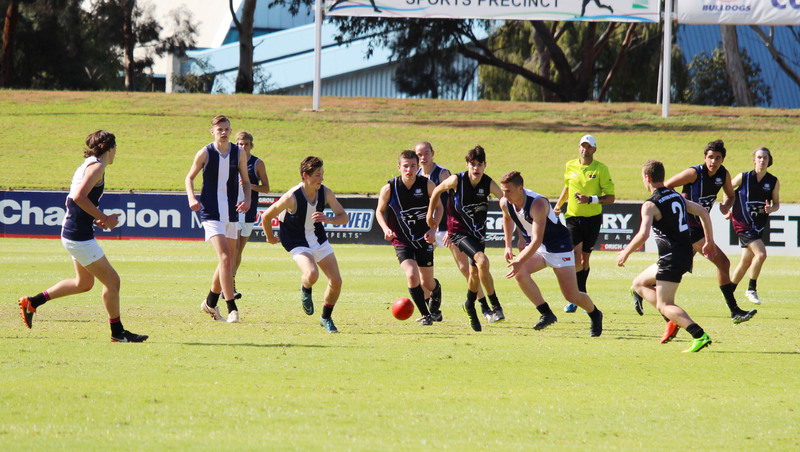 St Patrick’s Technical College’s Open Boys Knockout Football team emerged victorious after the first round of the competition today. 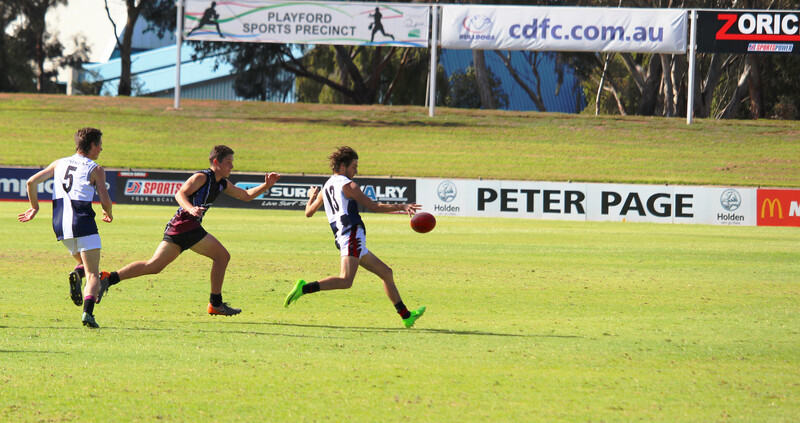 StPatsTech boys took on Playford International at My Money House Oval (Central Districts Football Club) in Elizabeth. 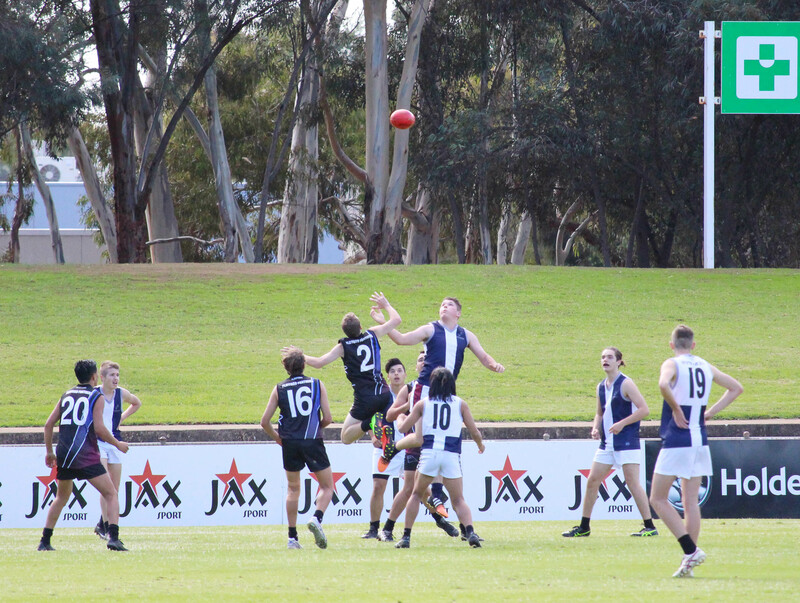 StPatsTech started the first quarter strongly with the ball being delivered well into the forward line. 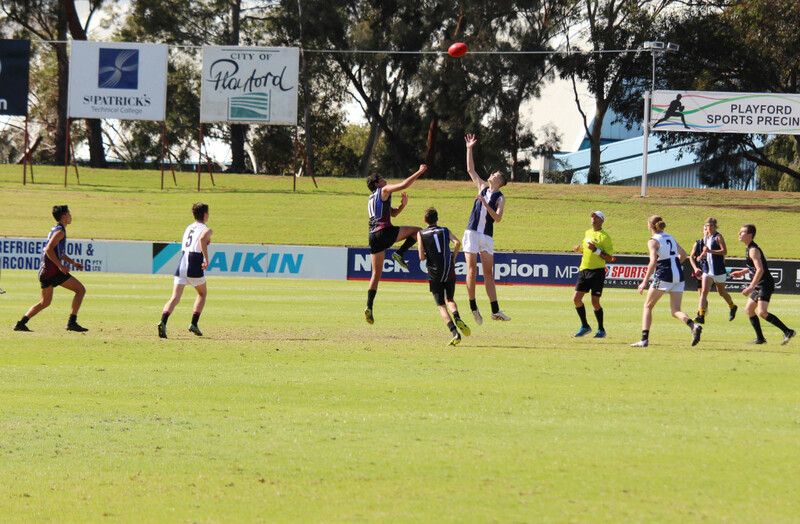 By the quarter time bell, StPatsTech was four goals up with a strong start to the second quarter. 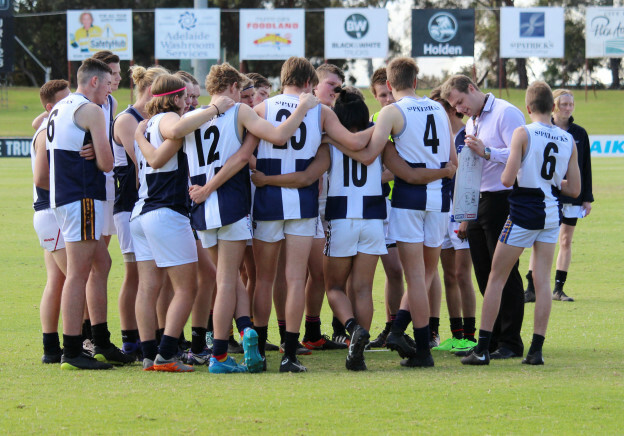 Playford International were not to be forgotten coming back in the second half and getting within two goals during the second quarter. Coach Sheridan inspired the team with a pep talk ahead of the third quarter and the Fighting Irish were able to pull clear ahead to take the win. Notable mentions for the game include Jayden Lu who performed brilliantly every time the ball was near. Nathan Hearing did well moving from full-forward, where he was having an influence, to ruck, where he was dominant. 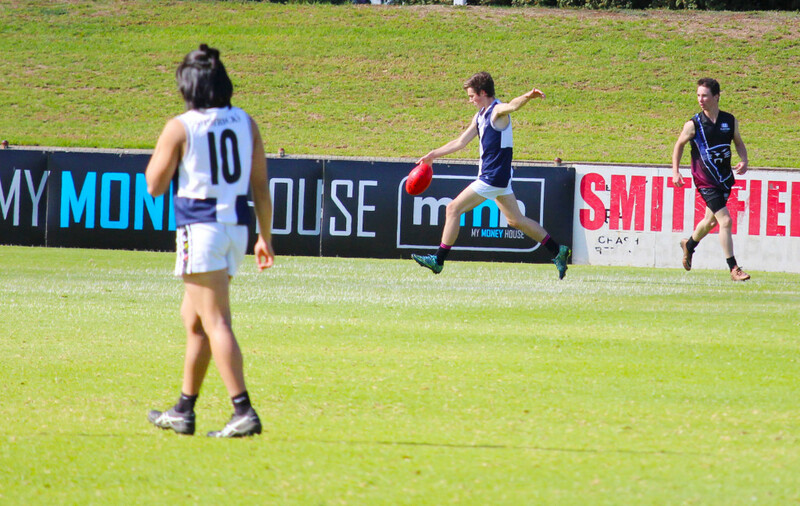 Tyler Carroll showed that he has some class and was able to deliver to the forward line well. 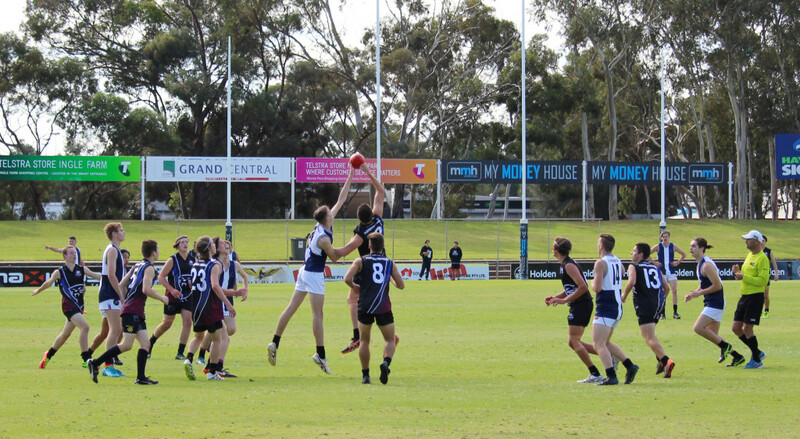 Bisset, Richard, Mailes, Buccini all had an influence with AFL debutant Conor Grey dominant around goals. There were a couple of injuries suffered from StPatsTech but hope recovery will be swift. Coach Sheridan thanked Assistant Coach, College Chaplain, Michael McFarlane for his “brilliant” help and ability to master the timing app on his Iphone. Thank you to the family members, teaching staff and students who attended the game to support the side. This entry was posted in Fighting Irish on 17/05/2018 by St Patrick's Technical College. This entry was posted in Latest News on 10/05/2018 by St Patrick's Technical College. 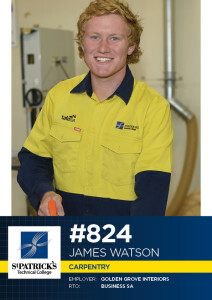 We do not measure our success by ATAR scores. 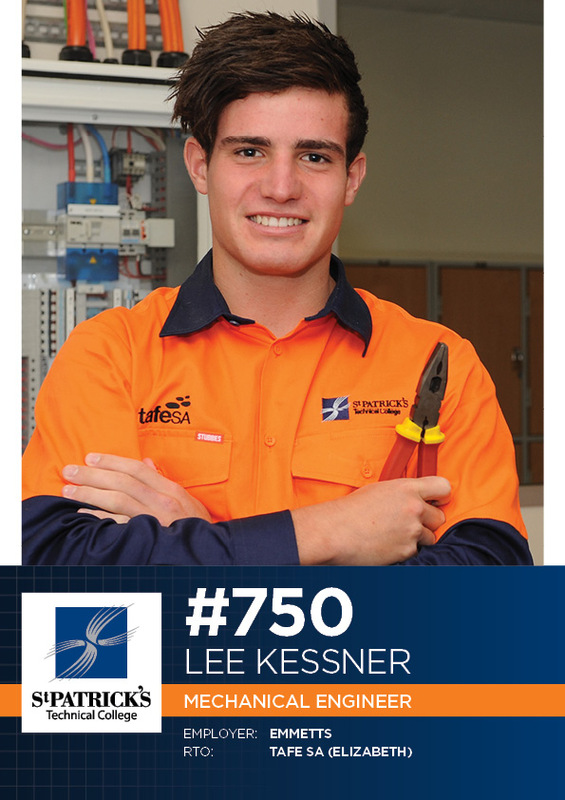 Our measure of success is apprenticeship/traineeship numbers. Apprenticeships and traineeships not only give you new skills and qualifications, but can lead to unexpected and exciting career pathways in the future. Click on our Enrolment section for more information or book a tour via this link today! This entry was posted in Industry Office, Latest News on 09/05/2018 by St Patrick's Technical College. 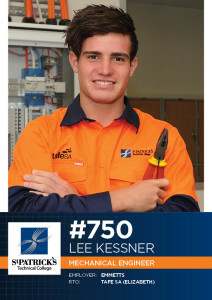 St Patrick’s Technical College this morning saw its 848th apprentice commence work. Kurtis Joyce has been studying his SACE and Certificate II in Commercial Cooking with the College since 2017 and was today signed by FINO Seppeltsfield to a School-based apprenticeship. 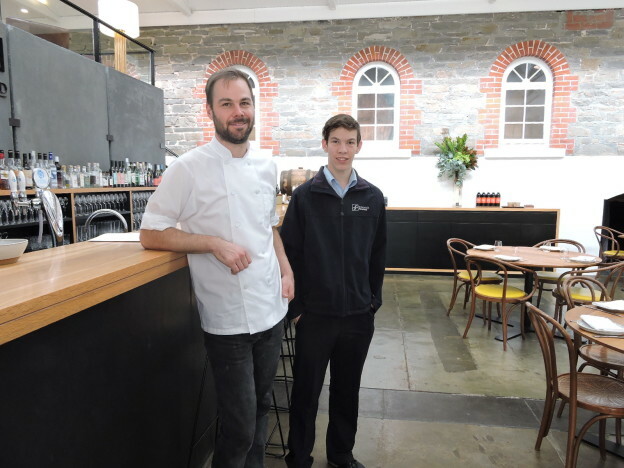 He follows in the footsteps of Class of 2017’s Madison ter Bogt and Class of 2013’s Sarah Voigt at the prestigious Barossa Valley venue. Ms ter Bogt was named as a Finalist in the 2017 South Australia Training Awards for her work at FINO. St Patrick’s Technical College Principal Danny Deptula said the College has seen nearly 25 students commence their apprenticeship since January this year. 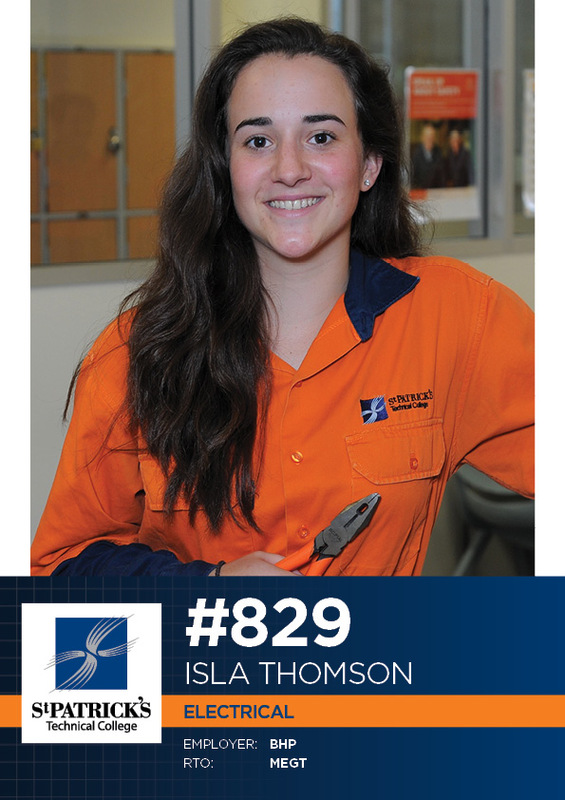 In the decade since the College opened its doors 848 students have commenced apprenticeships or traineeships, with 94 per cent going on to complete their training. 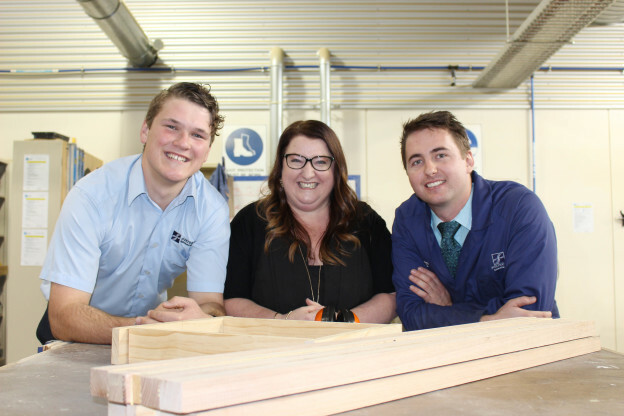 “As Northern Adelaide’s leading trade and technical senior secondary educator, St Patrick’s Technical College has been at the coalface of youth employment since 2007,” Mr Deptula said. “Kurtis joins hundreds of St Patrick’s Technical College Old Scholars to begin their career with a local business and we know through our own research that 98 per cent of those past students remain employed,” Mr Deptula said. 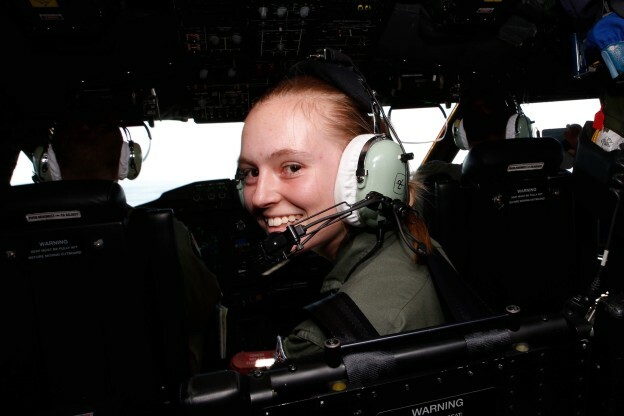 Mr Deptula said the emerging Defence industries centred around RAAF Base Edinburgh and maritime manufacturing as well as recent announcements of business investment in the north, opportunities for the area’s young people were plentiful. 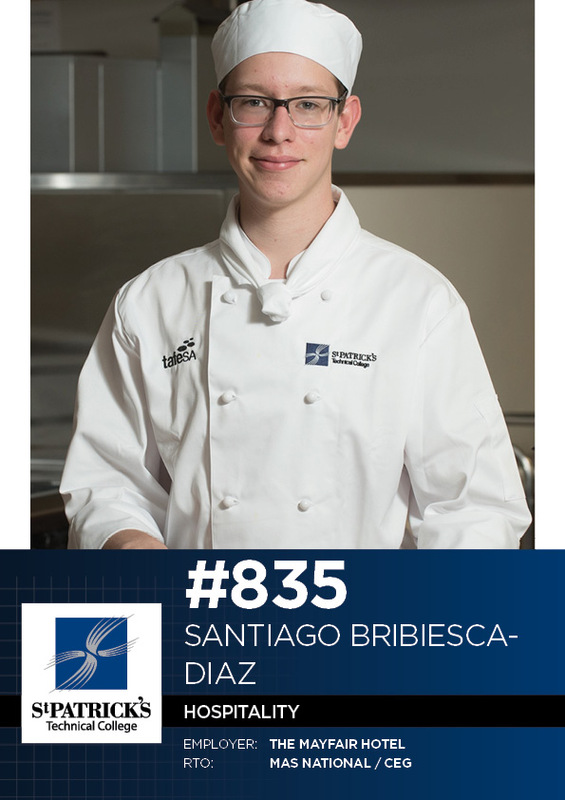 Kurtis’s school work and timetable will be adjusted to enable him to spend as much time learning from the chefs at FINO Seppeltsfield as possible. 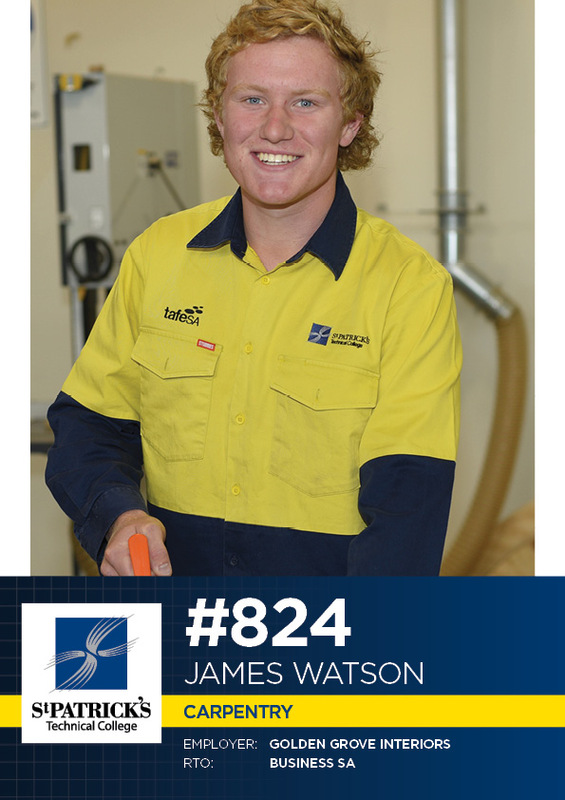 As a School-based Apprentice, Kurtis will complete his SACE and graduate Year 12 – an important step if he wishes to go onto further education later in life. St Patrick’s Technical College strongly urges our community to support those businesses which support local jobs. This entry was posted in Industry Office, Latest News on 08/05/2018 by St Patrick's Technical College.